THLU contributes to charities on an organized basis. Officers yearly choose a charity that THLU will focus on. They decide what percent of our money collection activity results will go to charity. If a need arises, this might be altered at a rally. THLU also contributes to charities on a more dis-organized basis. We sometimes see a need, and take up a collection ...money, food, goods... usually at a rally. The pre-rally information describes this. The December rally is the Christmas rally. One of its features is an auction, with the proceeds split between THLU and a charity. You are asked to bring and donate new or used auctionable goods ( toys, paintings, flamingos, Airstream gadgets, etc.) - whatever you think will sell. 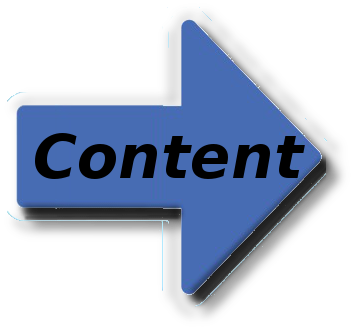 Here are a few such activities that we have documented. 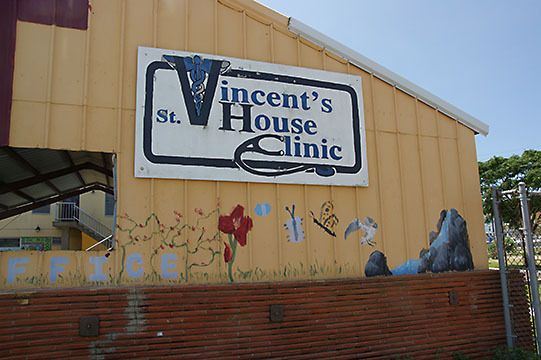 Our Community Service Project for our May rally was St. Vincent's Episcopal House in Galveston. This is truly "an oasis of Hope, Expecting Miracles." 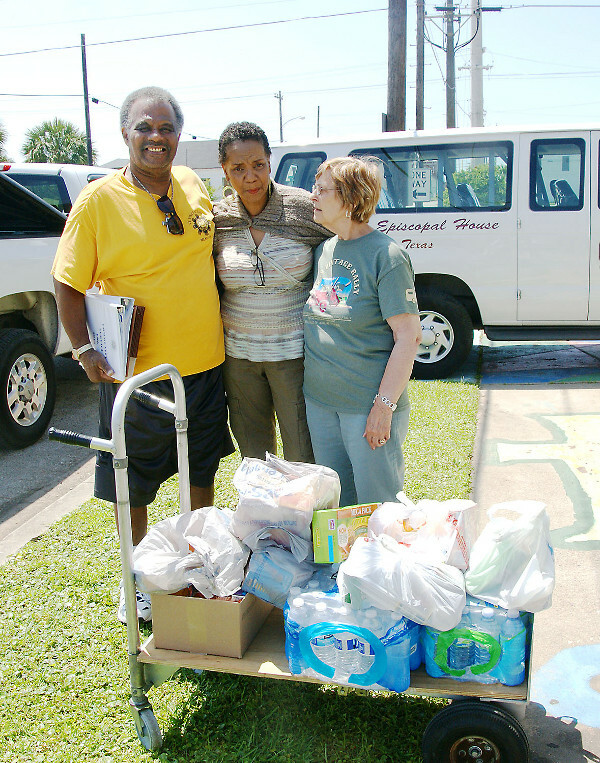 They serve the disadvantaged, under-served, and working poor population in the Galveston community. Their list of services is huge. They partner with several other non-profits to provide small grants to individuals and families in crisis, transportation to appointments, hot meals to the elderly and disabled and sack lunches for the homeless among many other services. Their facility houses a small Food Pantry, Peace Chapel, a pre-school,and a medical / dental / eye clinic which is staffed by medical students from UTMB. 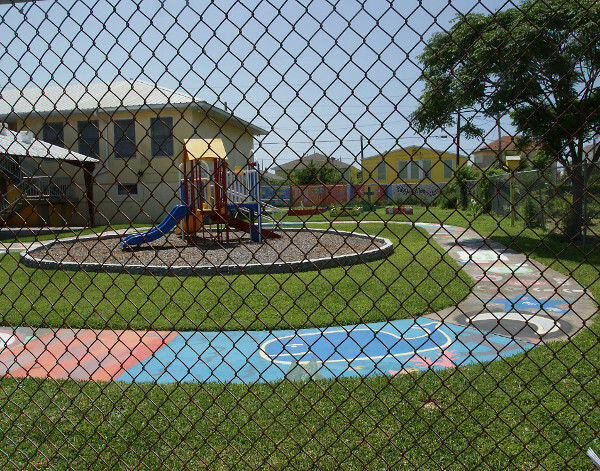 In addition they have education classes as well as prevention and wellness classes. John and I were so impressed with this amazingly comforting and cheerful facility. And the staff / volunteers that we met were such warm and caring people. They truly value the people they serve. They are truly angels. Many thanks to Angela for taking the time to give us a tour of this wonderful place. And many thanks to our members who donated food or money for this wonderful group. Our auction at Christmas 2017 in San Antonio raised several thousand dollars. Cheri Addicks presented our donations.